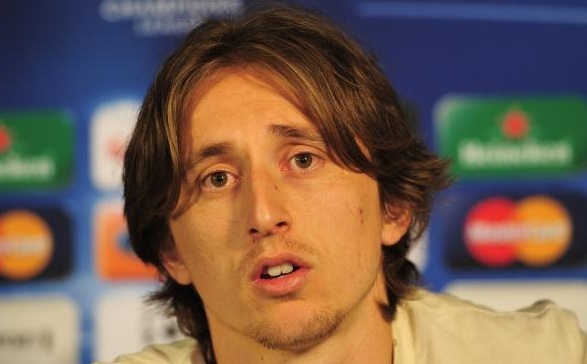 Luka Modric has hit out at claims by Tottenham chairman Daniel Levy that he is not for sale at any price. The Croatian midfielder admitted last month that he would like to join Chelsea in order to have a greater chance of winning silverware and playing Champions League football, only for Levy to react angrily to Modric’s claims by stating he would not be sold at any price. And now the 25-year-old has reiterated his intentions in an attempt to force his exit from White Hart Lane. Speaking to Sportske Novosti, he said: "A lot has been published in the press about the meeting with Levy, who gave the public a twisted account of what happened. I must say that I am genuinely disappointed about what Levy said to me. He didn't care about what I was telling him. It all only convinced me further that I was right to consider moving on to another club. There is no doubt that Chelsea want me - they sent a concrete offer to Tottenham. I know that the new Chelsea boss said he wants me in his team. Of course I am flattered by this interest in me - it's a club that all players dream of joining, fighting for every competition available."